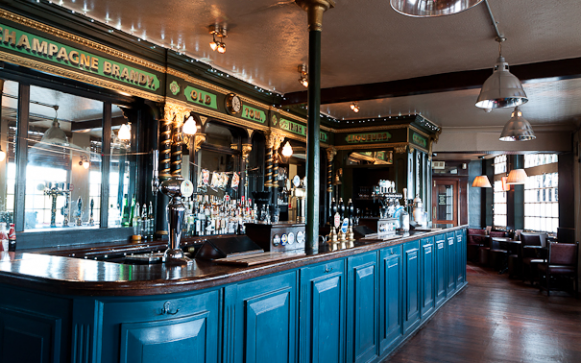 This huge south London boozer makes dogs welcome inside and outside. So as well as at any of the many indoor tables, you can also pick one of the many in the large terrace garden. The food may not be ground breaking or on the edge (the owners describe what they offer as "great British pub food"), but it is simple and well-executed. For all its size, there's enough of the the big venue, party vibe about the pub to keep things interesting. It is a great spot for a long and lazy weekend lunch, and if you can easily fill your tanks here, you can then walk it all off on Blackheath and in nearby Greenwich Park.